Proponents say that vaccinations are safe and that the benefits of vaccinations far outweigh the small risks associated with vaccines. Opponents argue that children’s immune systems can deal with most infections naturally and that vaccines may trigger problems like autism, attention deficit hyperactivity disorder (ADHD) and multiple sclerosis. Who is right and what should parents do? Let’s first take a look at some common arguments and see what the medical professionals have to say. Most vaccine-preventable diseases have been virtually eliminated by improved personal hygiene, water purification, effective sewage disposal, and better food hygiene and nutrition. Why does my child still need to get vaccinated? While it is true that vaccination has enabled us to reduce such diseases to very low levels in Singapore, the Health Promotion Board (HPB) says that some of these diseases are still common in other parts of the world. Travellers can unknowingly bring these diseases into Singapore, and if our children are not protected by vaccinations, diseases can quickly spread throughout the population, causing epidemics here. How is it that some children are exempted from immunisations? There are indeed a small number of people who cannot be vaccinated, due to severe allergies to vaccine components or a compromised immune system perhaps as a result of an organ transplant. There are also a small percentage of people who do not respond to vaccines. These people are susceptible to disease, and their only hope of protection is that people around them are immune and cannot pass disease along to them. Vaccines have been known to cause many harmful side effects in children, including anaphylactic shock, paralysis, and sudden death. Is this risk worth taking? Most vaccine adverse events are mild and temporary, such as a sore arm or slight fever. These can often be controlled by taking Panadol before or after vaccination. The more serious side effects occur extremely rarely and the benefits of vaccination greatly outweigh the slight risk. A child is far more likely to be seriously injured by one of these diseases than by any vaccine. What about the studies which say that vaccines can trigger auto-immune disorders such as multiple sclerosis, lupus or arthritis, as well as developmental problems such as autism and ADHD? The Institute of Medicine (IOM) and the Centers for Disease Control and Prevention (CDC) in the USA investigated the possible causal associations between the hepatitis B vaccine and neurological disorders such as multiple sclerosis, and between the MMR (measles, mumps and rubella) vaccine and developmental disorders such as autism. They found these claims scientifically unsupportable and the Expert Committee on Immunisation of Singapore, in conjunction with the World Health Organization (WHO), continues to recommend the vaccines. In Singapore, there are childhood immunisations available for 10 infectious diseases. These are Diphtheria, Hepatitis B, Measles, Mumps, Pertussis (whooping cough), Pneumococcal infection, Poliomyelitis, Rubella (German measles), Tetanus and Tuberculosis (TB). Some vaccines give rise to lifelong immunity upon completion of the full course (e.g. Hepatitis B vaccine). Other vaccines have to be given again later in life to maintain your child’s immunity to the disease (e.g. diphtheria and tetanus). This top-up dose is called a booster. The National Childhood Immunisation Programme provides a recommended schedule for childhood immunisations. The first takes place when your child is born. Subsequently, you will have to bring your baby for regular immunisations at a family clinic, polyclinic or paediatric clinic. If your child misses a dose, you should make up for it as soon as possible. The National Immunisation Registry (NIR) monitors and ensures that each child gets his or her immunisations at the appropriate time. If a child misses any of the immunisations, the NIR will send a reminder letter to the parents. All immunisations given at polyclinics will automatically be updated into NIR’s records. For immunisations given at the family or paediatric clinics, the doctor will keep NIR updated as and when an immunisation is completed. The NIR maintains the vaccination records for children from birth to 18 years of age. Parents should produce the immunisation certificates of their children at the time of registration. However, according to the HPB, a child who has yet to complete his or her immunisations will not be denied entry into Primary One. Instead, parents are reminded to get them back on track before the start of the school year. Alternatively, if the child is found to have incomplete vaccinations during the Primary One annual health screening, school health nurses from the HPB will administer the vaccination on-site, in schools. If the child is not well during the team’s visit, parents can take their child to the family doctor or the Student Health Centre clinic located in HPB for the immunisation. There are two vaccinations that are required by law in Singapore. 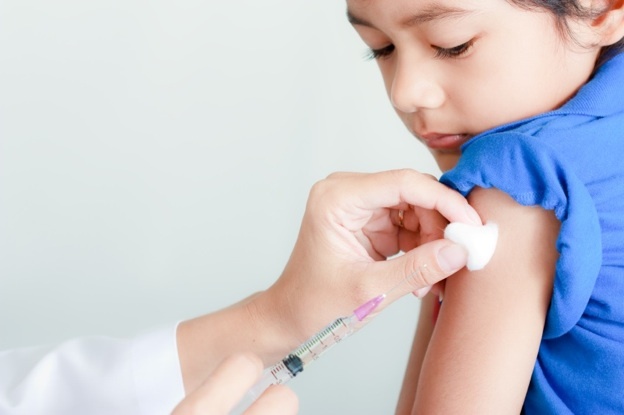 Under the Singapore Infectious Disease Regulations of the Infectious Disease Act (IDA), the parent or guardian of every child residing in Singapore has to ensure that the child is vaccinated against Diphtheria and Measles. Failure to vaccinate against Diphtheria and Measles carries a punishment of a fine not exceeding $10,000 and/or six-month imprisonment. Childhood immunisation involves giving your child a vaccine to protect him or her against disease. Each vaccine encourages a child’s immune system to produce antibodies against the particular disease. These antibodies help your child fight the disease if exposed to it. 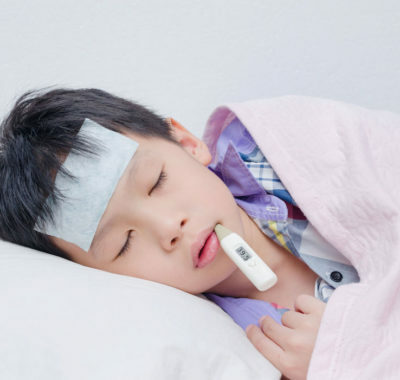 Many studies have also shown that even if a child does get infected by a disease that they have been vaccinated against, the symptoms and severity of the infection is milder than if otherwise. A number of newer vaccines have been developed to provide protection against many other diseases. These include vaccines against Haemophilus Influenzae Type B (Hib), Rotavirus, Influenza and Chicken Pox, as well as Human papillomavirus (HPV) for girls between 10 and 25 years of age. Hepatitis B is not mandatory according to what I know. Has it changed? All infants born to mothers who are hepatitis B carriers (HBsAg positive), regardless of their ‘e’ Ag status, should receive the hepatitis B vaccine and hepatitis B immunoglobulin (HBIG) (0.5mls) within 12 hours of birth, administered at different injection sites. Infants born to mothers whose hepatitis B status is unknown should receive the first dose of the hepatitis B vaccine within 12 hours of birth and the mother should have her blood drawn as soon as possible to determine her hepatitis B status. If she is found to be a hepatitis B carrier (HBsAg positive), the infant should receive the HBIG as soon as possible but no later than seven days after birth.